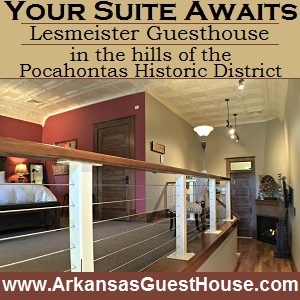 The construction project rehabilitating the 1902 Lesmeister Building on Marr Street in Pocahontas to create “Lesmeister Guesthouse” was among several Arkansas projects recently honored in Little Rock. The Lesmeister’s first place award for “Excellence in Preservation Through Rehabilitation” was presented by the Historic Preservation Alliance of Arkansas. Dr. Patrick Carroll, owner of The Lesmeister, along with Ralph Pink Baltz, of T-Co Contractors, Inc., general contractor on the project, were in Little Rock for the award presentation. Also in attendance were Charlotte Baltz, and Ronnie and Sonya Walker of Black River Technical College. 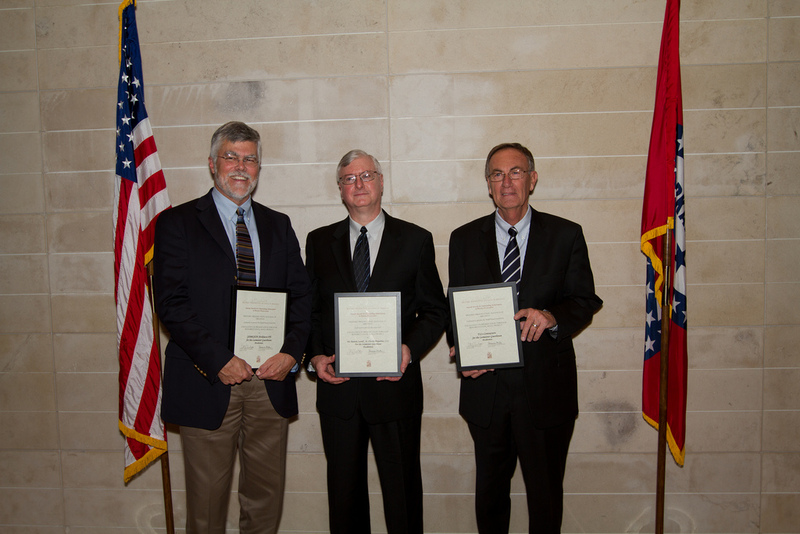 The Arkansas Preservation Awards are given each year to recognize the important work being done throughout Arkansas to preserve and protect places of historical or cultural importance. “In every one of these projects, someone made the decision that preserving the physical place is important. I am proud of everyone who helped make these projects possible by contributing time and resources. We should all be proud to be part of a movement that is adding such value to communities around the state,” said Vanessa McKuin, Executive Director of the Historic Preservation Alliance of Arkansas. 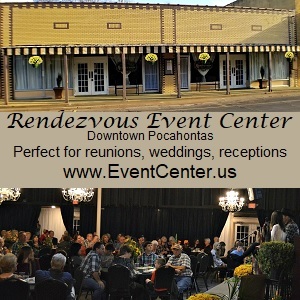 Among others in attendance at the award presentation banquet were Governor Mike Beebe, Senator Mark Pryor, and former Senator David Pryor, as well as preservation specialists from all over Arkansas. The event, held at the Clinton Presidential Center, also included an award presented to Joanne Cash Yates, sister of music superstar Johnny Cash, for the restoration of the Cash family home in Dyess, Arkansas. Journalist Rex Nelson served as Master of Ceremonies for the event.